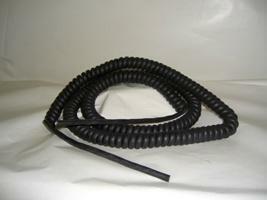 Retractile coil cords for door and gate application. High quality cord with 6” straight lead on each end. 300V. temperature range -70°C (-94°F) to 105°C (221°F).